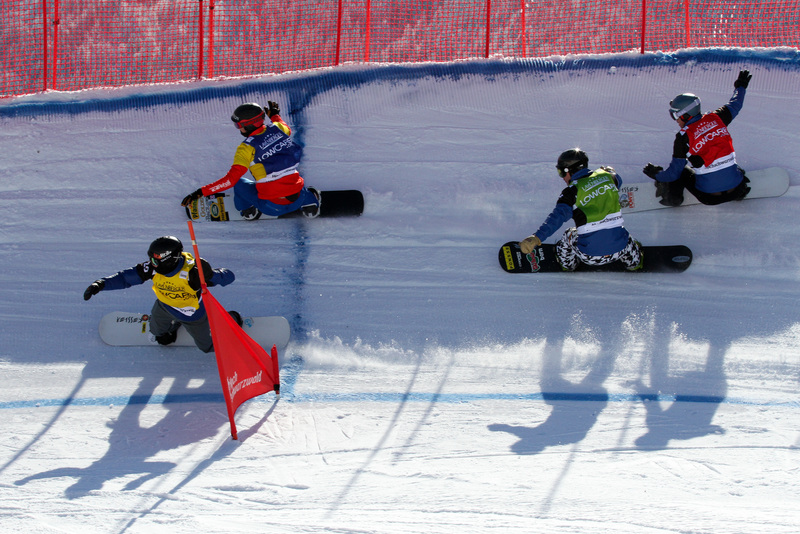 Feldberg, Germany – The Czech Republic’s Eva Samkova, and Alex Pullin of Australia have claimed victory in this season’s fifth snowboard cross race which was staged as second event of the Feldberg double Snowboard World Cup on Sunday. American rider Lindsey Jacobellis landed on the women’s podium in second place. While it was this season’s second triumph for Samkova, Pullin earned his first this winter in front of a stellar crowd on a perfectly shaped course on the Seebuck slope. But it was Samkova who most impressed the Black Forest spectators by taking a different approach than her competitors. Knowing that she had always been the last out of the start, the 2014 Olympic champion decided to pull out of the gate with quite a gap but then went full throttle to finally pass her three rivals on the long and fast home stretch. The 23-year-old from Vrchlabi perfected her drag race skills, crossed the finish line first to edge out Jacobellis, a four-time world champion. France’s Chloe Trespeuch had luck on her side, surviving a photo finish to beat World Cup leader Belle Brockhoff of Australia for third. Over in the men’s event, things went critical right in the first turn. 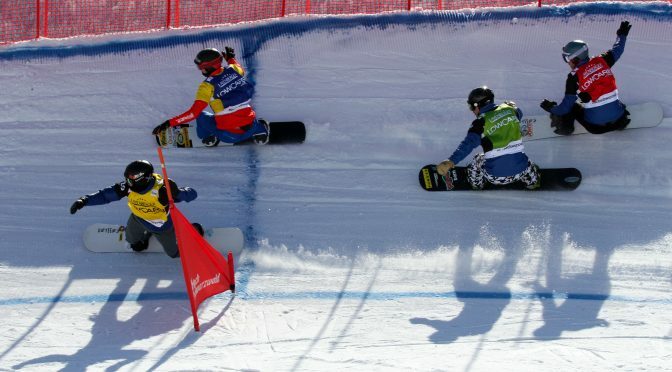 With three riders going into the left berm at the same time, on the fast outside lane Alessandro Haemmerle of Austria touched the tail of Pullin’s board before catching the wrong edge and washing out over the first step-down together with American rider Hagen Kearney. Kearney landed hard on his back before finishing the race on his feet. Pullin capitalized on the carnage to earn his career’s seventh victory, a perfect redemption for his elimination in the eighth finals in Saturday’s race. 2016 X Games gold medalist Jarryd Hughes was able to avoid the crash in front of him, making it a 1-2 double for Australia – the country’s best result in World Cup history. Haemmerle rounded out the podium in third to re-take the World Cup lead from Omar Visintin of Italy. The snowboard cross World Cup tour now takes a three-week break, with the next races scheduled in La Molina, Spain on March 4 and 5.